SERVING CHICAGO SUBURBS SINCE 2010! Roof RePAIR, INSTALLATION & REPLACEMENT SINCE 2003! For almost 20 years, Nico Roofing Company has been the number-one roofing contractor in Streamwood, IL; Hoffman Estates, IL; Hanover Park, IL; Bartlett, IL and all north-west suburbs. We specialize in providing top-class roofing service without charging an arm and a leg. Our roofers are all highly experienced, having each completed projects in the areas of roofing, roof replacement, repair, re-roofing, and roof installation. For top-quality roofing services in 60107, 60169, 60133, 60103 and all nearby areas, Nico Roofing is the clear choice. Our roof repair services are also second-to-none. If your home has suffered any kind of a storm damage, contact us for your free estimate. We’ll give you all the information you need and provide you with a free estimate. There’s a few different roofing companies in Streamwood, but nobody provides the kind of service you’ll find with Nico Roofing. Nobody handles residential roofing like Nico. We can handle any roofing project you need, from installation to re-roofing and offer an assortment of styles, including shingle, metal, and flat roofing. Upgrading your roof is one of the best ways to invest in your business. With a brand-new roof by Nico Roofing in Arlington Heights, you get superior protection and a beautiful aesthetic that will drive your business for years. While it is often overlooked, siding is vital to your home or business, providing protection and making first impressions. 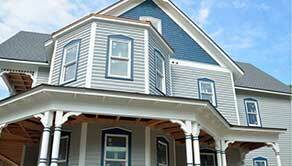 Install the best siding available with our high-quality materials and top-notch installation. 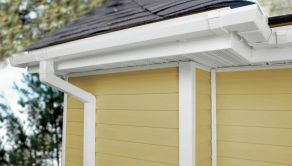 Gutters are an important part of your roof too. With Nico Roofing in Arlington Heights, you get access to the best gutters on the market we will make sure your roof stays dry and intact for a long time. 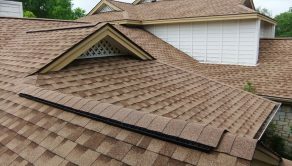 We offer the widest variety of shingle styles to choose from, including asphalt, shake, and slate. We can help you pick the best option for your budget and your property. 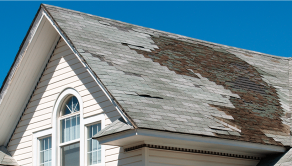 Chicago weather can take a serious toll on your roof through storm and hail damage. Our emergency roof repair service can get your roof back safe and secure in no time. Before you begin work with our roofing contractors in Streamwood, Arlington Heights, Schaumburg, Palatine or any other Chicago north-west suburbs, take a look through some of our recent projects. We are proud of our craftmanship and always stand behind our work. We encourage prospective clients to examine our latest projects. For years, our clients have loved our work and shared about it in reviews on the Internet. That’s why we encourage all our customers to read through some of our 5-star reviews on Yelp or Google+ to check our reputation for yourselves. For the best residential and commercial roofing work, choose Nico Roofing Company serving in Arlington Heights, Schaumburg, Palatine, Streamwood, Elk Grove Village and other north-west suburbs. We offer a wide array of services, including our popular and beloved roof replacement. When you work with us, you can always expect the best quality of roofing. Choose Nico and let us turn your house into your dream home. 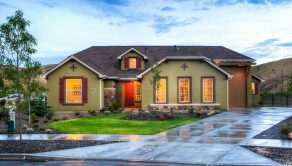 Why choose Nico Roofing Company? We pick our entire team by hand, prioritizing attributes like their qualifications and their character. Our roofing contractors in Arlington Heights form the most experienced and knowledgeable team on the market. Reasonable prices are important to us. That’s why we care for your pocket and offer our expert, high-quality work without charging you exorbitant fees. Customer-oriented service is our top priority here at Nico Roofing. Whether you live in Arlington Heights, Schaumburg, Palatine, Elk Grove Village or Streamwood, you can always trust us to provide you with honest and reliable service that you’ll absolutely love. Our roofing contractors in Arlington Heights are the most skilled and reliable in their field. Our team is fully certified, trained, and has years of experience with hands-on roofing work. In order to enable our contractors to be the best they can be, we always provide them with cutting-edge equipment. With high-quality tools, you can expect the best work on your home. Quality work is no good to you if the project isn’t done on time. At Nico, we guarantee that our work will be completed within the pre-designated timeframe. It may be surprising to learn that roofing shingles and other materials make up nearly 40% of the content of American landfills. 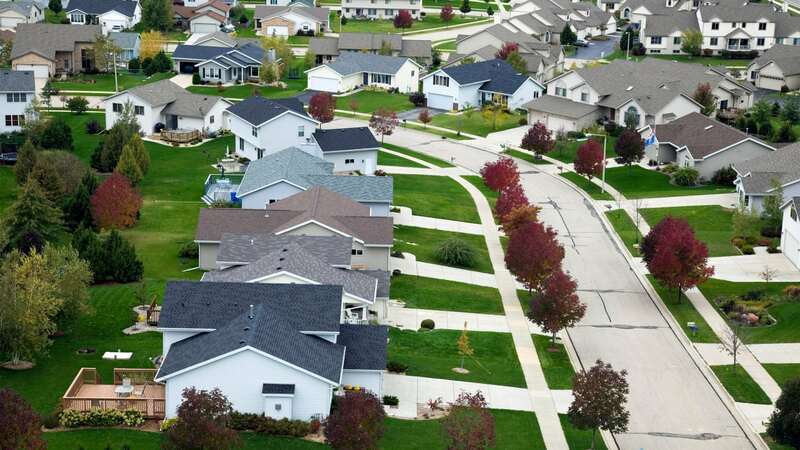 While maintaining and replacing roofing in Chicago suburbs is a year-round prospect because of the weather, we think that Chicagoland roofing contractors have a responsibility to being as eco-friendly as we possibly can. With this in mind, we are proud to partner with roofing recycling programs that help turn used asphalt, aluminum, and steel shingles back into useful products. While steel and aluminum products are more easily recyclable, asphalt shingles can also be turned into useful construction materials for everything from roadwork to landscaping. We are proud to be among the leading roofing companies in the Chicago suburbs to make sustainable roofing a reality, and look forward to continuing our focus as a green company in the future. 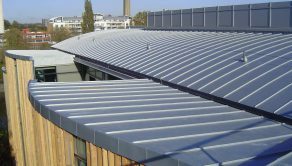 If you’re in the market for a new roof for your building, contact us to get the job done with quality and efficiency. We are a professional roofing company serving residential and commercial properties in The Greater Chicago Area. Our track record for quality workmanship and excellent customer service is well-known throughout the communities we service. Nico Roofing & Exteriors serves the Chicagoland area, to include Schaumburg, Naperville, Mundelein, Hawthorn Woods, Arlington Heights, Palatine and many other suburbs. We loved our experience with these contractors. They were so friendly and knowledgeable, really taking the time to answer all our questions. Their work was top-notch too and really exceeded all our expectations. For the friendliest, most professional roofers in town, go with these guys. They did our roofing last month and really took the time to answer our questions and do great work. A friend recommended these contractors and it was a great choice. Our new roof is incredible and they were consummate professionals throughout the entire project. Professional roofing company serving Streamwood and all nearby suburbs with quality roof installation, roof replacement and exterior renovation services. © Copyright 2017. Web Design by STRONY123 - Strony Internetowe Chicago. All rights reserved.